You’re here to learn to make pate de fruits, right? I will teach you how to make them using raspberry as the example flavor, but first, I really want you to read this whole post (I promise it’s not long). 4 Is It Hard to Make Pate de Fruits? 5 Can I Make My Own Fruit Puree? 6 What Do I Need to Make Pates de Fruits? 8 What Kind of Pectin Should I Use? 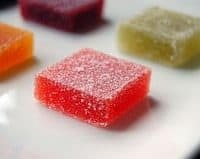 9 Can I Make Low-Sugar Pate de Fruits? While pate de fruits are not hard to make, there are some tricks to being successful with them. And I want you to be successful! 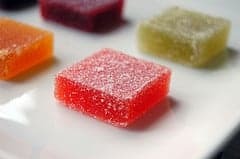 The magic of making pate de fruits is making sure you have just the right amount of thickening power, in the form of pectin, to let them set up into slick, slice-able jewel-toned tiles of fruit flavor without overdoing it and ending up with something boingy. We are not going for boingy. The basic pate de fruit recipe is pretty straightforward. The trick is in knowing the perfect amount of pectin to use for each kind of fruit. Since most fruit already contains pectin at different concentrations, the amount you must add differs for most types of fruit. Professional pastry chefs have access to formulas that are specifically formulated for each type of fruit puree a particular manufacturer sells. 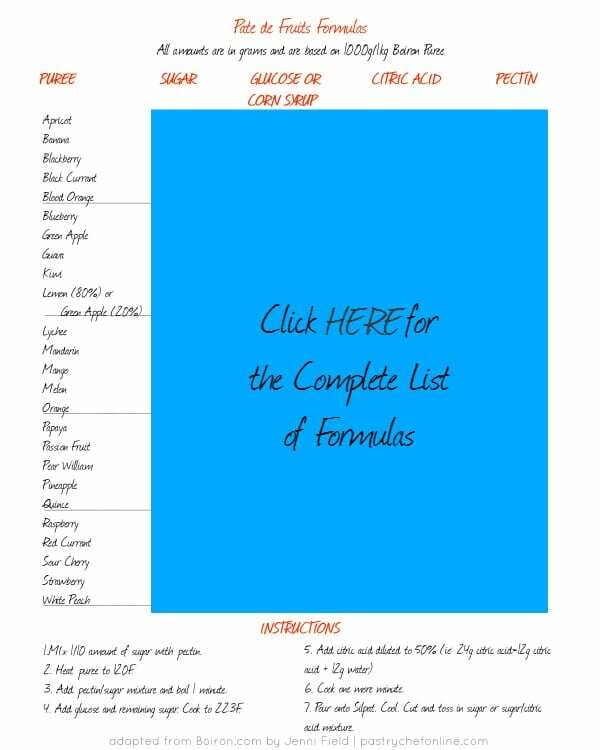 I have one of these formula sheets at my disposal, and I am going to share it with you now. 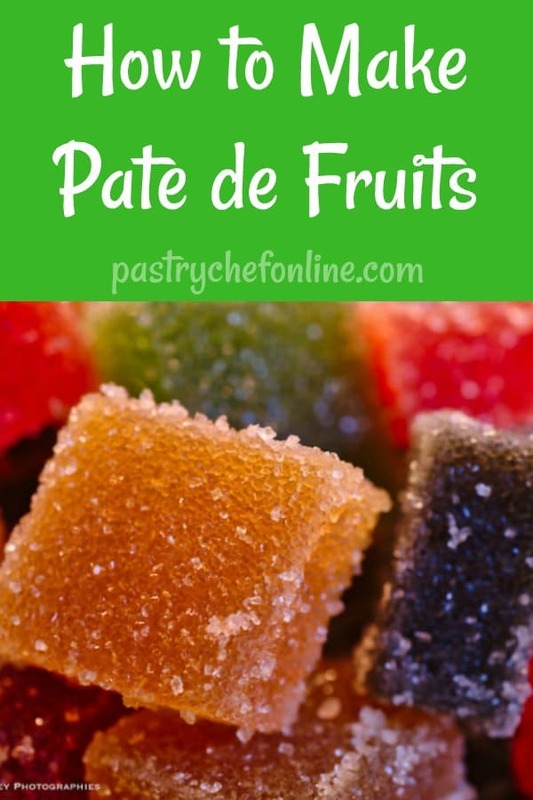 Is It Hard to Make Pate de Fruits? While it’s not hard to make pate de fruits, it’s not really easy, either. Or rather, it’s a fussy process. There is a lot of stirring and cooking of thick, viscous, bubbling molten fruit and sugar. I’ve gotten some lovely burns from exuberantly burbling pre-pate-de-fruits, so if you’re going to make some, be careful and be prepared for it to take quite awhile–maybe up to 45 minutes to an hour of stirring. Can I Make My Own Fruit Puree? Yes, you can, although if you do, I cannot guarantee that you will get perfect results with this particular formula since it is optimized for use with Boiron puree. Having said that, I know of some folks who have used homemade puree with good results. Just know that you may have to tweak the amount of pectin and/or citric acid to get the perfect set and balance. What Do I Need to Make Pates de Fruits? As I have said, the equipment list is not very long. Here are my recommendations for equipment. Some are obvious and others, not so much. I recommend storing pâte de fruits in an airtight container with a couple of desiccant packs in it to keep them nice and dry. The multi-cutter is not strictly necessary, but it will make the work of cutting your little gems into 1 to 1 1/4″ squares a bit easier. This formula makes a full sheet tray of candy, so I’m also recommending you pick up a large sheet tray if you don’t have one as well as a silicone mat to fit. I really recommend purchasing Boiron puree to make your pates de fruit, especially since the formulas come from Boiron and were optimized for their puree formula. Here are some of my favorites. The puree is pretty pricey, but your results are all but guaranteed, as long as you follow the formulas exactly. I recommend just purchasing one flavor and making 1 tray of candies. If you cut them into small squares, you can easily get 400 candies, plenty for hooking up everyone on your gift list! What Kind of Pectin Should I Use? We always used powdered pectin from the “regular grocery store,” and never had any problems. Do not purchase the low- or no-sugar needed pectin, and you should be fine. Ball and Sure-Jell are two trusted brand names that provide consistently good results. 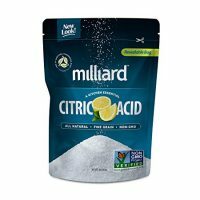 I don’t know how to change the formula to use liquid pectin, so please stick with powdered to make your pate de fruit recipe. Can I Make Low-Sugar Pate de Fruits? Yes, Virginia, you can make low-sugar pate de fruits. 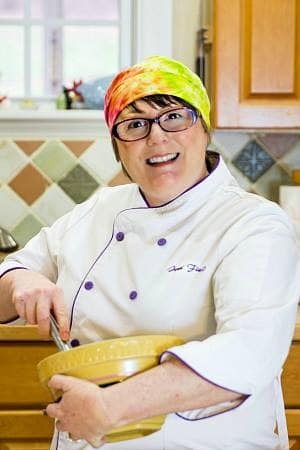 Let Janice Lawandi of Kitchen Heals Soul show you how in her post. Photo used with permission. 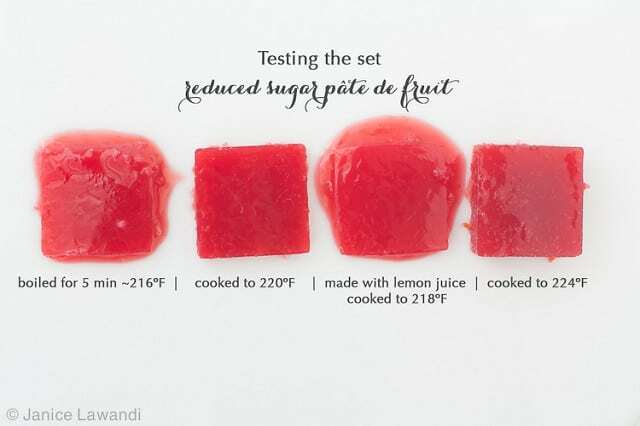 I wouldn’t suggest you make low-sugar pdfs using these Boiron formulas, but here is a recipe for and a discussion of making low sugar blood orange pate de fruits. It is also a small batch rather than an entire sheet pan. Note Janice’s recipe also uses liquid pectin rather than powdered. Here are some other candy recipes you might enjoy–either for eating yourself or for gifting. Enjoy! Generalizable to 25 formulas in the downloadable list. To be clear, each formula requires slightly different amounts of sugar, citric acid, and pectin. All formulas are based on 1 kg or 1000 grams of Boiron puree. NOTE: I have had good luck using these formulas with both Perfect Puree and Cap Fruit. Note that perfect puree comes in 30 oz containers, so you will need to Do Math to scale the recipe from 1000 grams of puree to 850 grams. Mix about 100 g. of sugar with the pectin. Whisk them together really well. This helps keep your pate de fruits from having pectin globs in it. So do it. Heat the puree to 120 degrees. F.
Whisk and whisk, and add the pectin/sugar mixture. Bring to a boil and let boil one minute. Add the corn syrup and the rest of the sugar. Cook to 223 degrees, F. This could take a very long time. Your thermometer will read 218, and you'll think, "Oh, I'm almost there!" Wipe that grin off your face; this is going to take some time, so settle in and make sure you're wearing long sleeves. One the mixture reaches 223F, stir in the citric acid/water mixture or the lemon juice. Cook one more minute. Pour the molten pate de fruits mixture into a half-sheet pan which you have lined with heavy duty plastic wrap. Let set up at room temperature until cool and sliceable. This could take a few hours. Once firm, slice them into small squares, or cut out fun shapes with tiny cookie cutters. Roll them in granulated sugar. 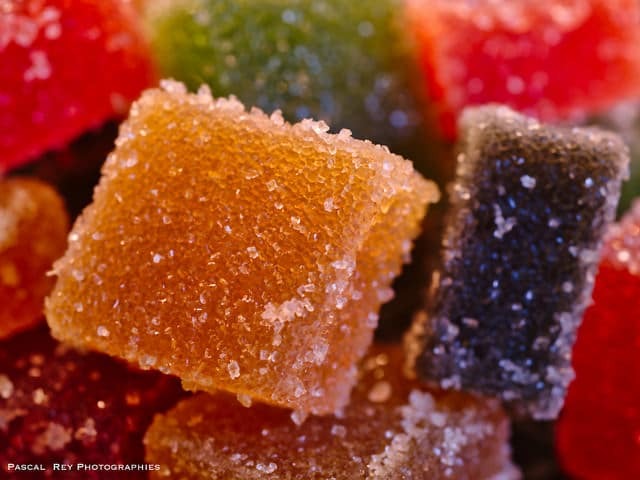 For "Sourpatch" pate de fruits, mix a little citric acid in with the sugar (to taste) and roll them in that mixture. 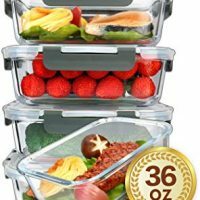 Make sure to store your pate de fruits in airtight containers. 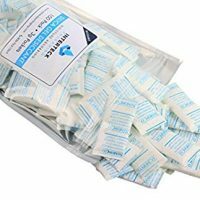 For storage of more than a day or two, I recommend getting some disposable or rechargeable desiccant packs. Thank you so much for stopping in. Take care, and have a lovely day. Have you tried using rosehips? I didn’t see them on your ratio list. I currently have an abundance of rosehip puree, I may wing it and see how it goes. I haven’t tried it, sorry. Maybe run a small test, see how it goes, and then scale up from there. Good luck, and let me know how it goes! I’m very sorry if you’ve already answered this, I did try to skim the comments but didn’t specifically see it..
May I please have formulas for fresh fruit puree? I haven’t seen the brand you listed here in Texas (though I got the formula sheet you provided just in case I can find them), and I really try to make things home made, when it’s possible. Any berry flavor (raspberry, blueberry, stawberry…), or citrus (orange, lemon, lime, grapefruit), would be a wonderful treat for my kids. Thanks in advance, and thank you for posting! My email.is ctfsquirrel at gmail. Hey, Mandi! I’m so sorry, but all of these formulas are based on standardized purees produced by Boiron. You can certainly try with fresh purees. At the very least, do half-batches and then tweak if you don’t get the results you are looking for. I cannot be more specific than that because fresh purees are not standardized. You may have to adjust the formula slightly from batch to batch, even if using the same kind of fresh puree. I’ve downloaded the various recipes, but looking at Boiron’s site, many of the purees are available either with or without sugar. Based on one of your other comments, I’m assuming you’re using the ‘with sugar’ version. Can you verify? Thanks! Hi there! Yes, these formulas are based on Boiron purees that already has a certain percentage of sugar in them. The no sugar ones must be newer! Ohh I tried to click to getthe Pate de fruit formula for the different fruits with no avail. 🙁 Is there a way that I can get it, probably thru my email. I am interesting and making some of the those for my friend. Thanks in advance! Hi Jennifer! This post was so helpful! I’m going to make the raspberry ones today for Valentine’s. I looked all over the boiron site and couldn’t find the formula sheet. Are you able to email it to me? The “click here” link didn’t work for me. I emailed you, Saloni. So sorry the link wasn’t working. Enjoy! It could be that you are making candy on a humid day, which is a recipe for gooey candy. Or maybe your thermometer is off. It’s hard to know for sure. Are you making the raspberry? I’d calibrate my thermometer and then melt it down and recook it, just to save ingredient cost and to see if the thermometer is the issue. Happy to send you the page for the formulas. I’ll email it to you, William. Thank you. I used 3 different thermometers because I thought that’s what it might be so I don’t think it’s that. Humidity is also not an issue for sure. I was doing the blood orange one. (I had a very blurry copy of the chart from an image search on google.) I’m going to attempt the white peach right now and I’ll let you know how it goes. Thank you so much! On the Boiron charts, it has apple juice as one of the ingredients. It’s quite a large amount (about 25%) to the weight of the puree. Your recipe doesn’t include that. What should I do? Thanks. I have an old chart that doesn’t use any apple puree for any of the recipes but the apple kind. If the download isn’t working (and I really do need to look into that), I’ll email you the chart I have that doesn’t require any apple, Stephen.